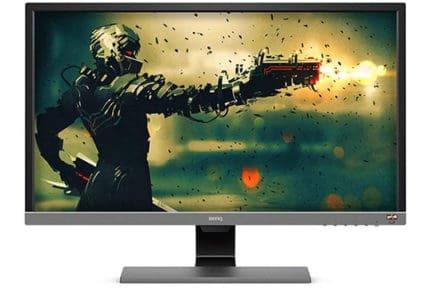 Looking for an affordable 32″ 4K monitor for PC or console gaming? Then you should definitely check out the Acer ET322QK! Based on a VA panel with a 3,000:1 static contrast ratio and a 300-nit peak brightness, the Acer ET322QK display is capable of delivering deep black shades and vivid details in the shadows and highlights of the picture. Now, for HDR (High Dynamic Range) content to really stand out, a display would need a good local dimming system for a higher contrast ratio, a peak brightness of at least 1,000-nits, and a wide color gamut (at least 90% DCI-P3). Since the Acer ET322QK doesn’t have any of these, enabling HDR for the compatible content will make some games and movies look somewhat better while others will just be over-saturated. HDR shenanigans aside, the Acer ET322QK still delivers a great image quality for the price thanks to its 4K resolution, vibrant colors, and high contrast ratio. Besides, the HDR support on this monitor doesn’t increase its price, so think of it as a bonus feature, not as the main reason to get the display. Moving on, the panel sports 10-bit color depth (8-bit + FRC) with 100% sRGB color space coverage. It also offers advanced adjustments for calibration such as 6-axis hue and saturation for both RGB and CMYK. You can also swap between sRGB, Rec709, and HDR color modes and save your own custom profiles. Next, 4K Ultra HD resolution on the Acer ET322QK 32″ monitor results in a rich pixel density of ~140 PPI (Pixels Per Inch) which provides plenty of screen real estate and incredibly sharp details. Alternatively, you can set the resolution to 2560×1440 and 75Hz. The Acer ET322QK monitor specifies 178-degree viewing angles but there are some slight shifts in color and contrast when the image is viewed from certain off-angles. It’s rather negligible and not nearly as bothersome as it is on TN panels, but still worth mentioning. The input lag performance could be better as the measured delay amounts to ~20ms. For a casual gamer, the lag will definitely not be noticeable, however, if you’re a competitive player, you should look for a faster screen. The 4ms (GtG) response time speed eliminates most of ghosting in fast-paced games, however, motion blur and trailing is apparent, particularly with scenes where a lot of dark pixels are involved. In the OSD (On-Screen Display) menu, you can set the OverDrive setting to Off, Normal, and Extreme. We recommend leaving it at Normal as Extreme introduces pixel overshoot i.e. reverse ghosting. The Acer ET322QK offers AMD FreeSync technology which eliminates screen tearing and stuttering if you have either a compatible AMD GPU or Xbox One/S/X. The FreeSync range is 40-75Hz at 1440p or 40-60Hz at 4K over both HDMI and DisplayPort. Alas, FreeSync cannot be active at the same time as HDR since the Acer ET322QK doesn’t have AMD’s FreeSync 2 HDR technology. Moreover, when HDR is enabled, all picture adjustments excluding brightness are grayed out. The OSD menu is nothing fancy and rather outdated but it gets the job done. There are plenty of settings available including the Picture In Picture and Picture By Picture modes for watching content from different sources at the same time. 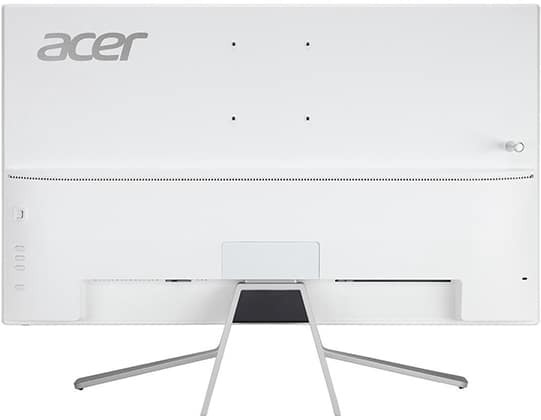 The design of the Acer ET322QK features thin bezels while the ergonomic options include -4°/12° tilt and VESA mount compatibility. As far as connectivity is concerned, there are two HDMI 2.0 ports with HDCP 2.2, a DisplayPort 1.2, two 2W integrated speakers, and a headphones jack. Note that DisplayPort 1.2 doesn’t support HDR. The screen is coated with a matte anti-glare protection which eliminates sunlight reflections. At the back of the monitor, you’ll find the OSD navigation joystick/buttons and the headphones hook; there are no USB ports though. 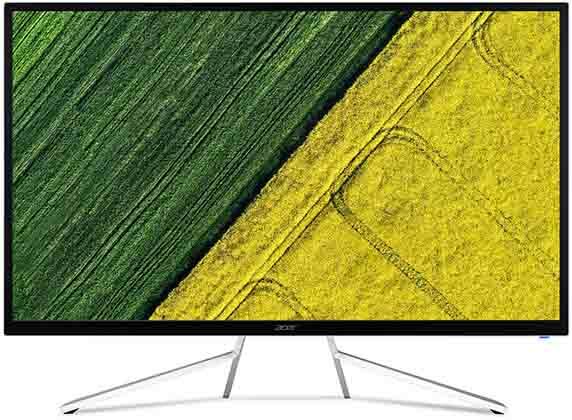 The Acer ET322QK price is around $400 which makes it one of the most affordable 32″ 4K FreeSync gaming monitors. 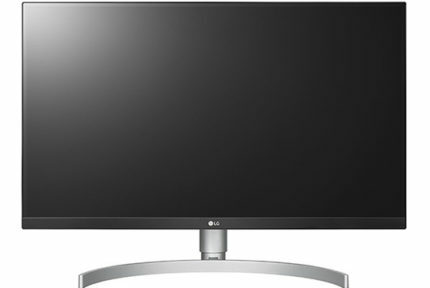 Alternatively, you may be interested in the Samsung U32J590 which is a similar monitor, just without HDR. Visit our best 4K monitor buyer’s guide for more options and information. 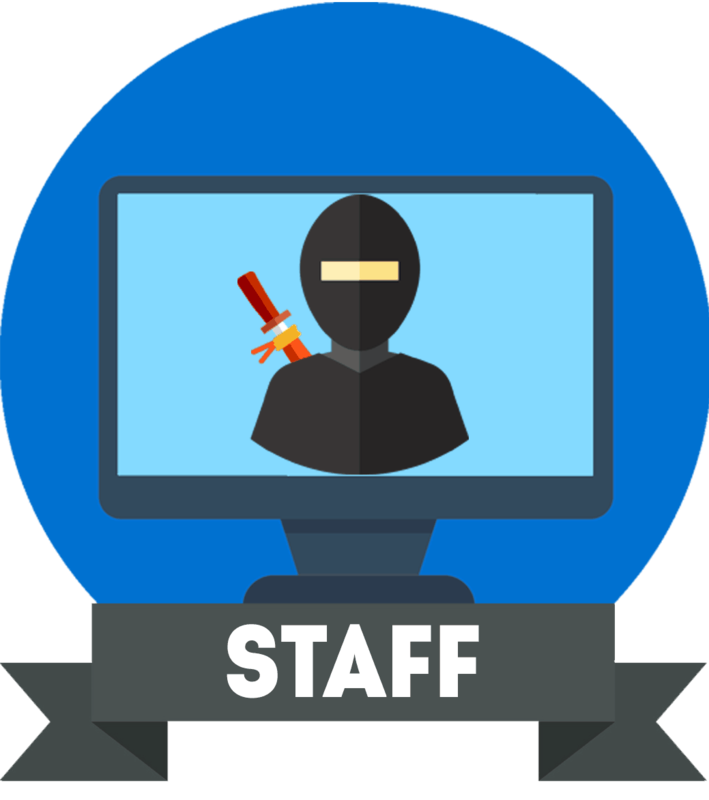 Granted, the monitor has some downsides and issues, but for the price, they are forgivable; You get a big 32″ screen with rich colors, crisp details, and a smooth performance for a very appealing price. 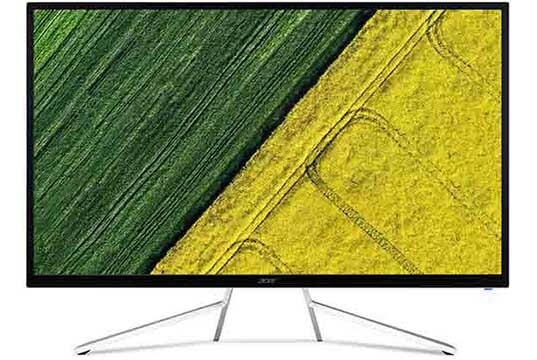 The Acer ET322QK is an affordable 32" 4K monitor with a great image quality, smooth performance, and plenty of features including HDR and FreeSync. Overall, it's a great budget display for console and PC gaming as well as any other multimedia use.